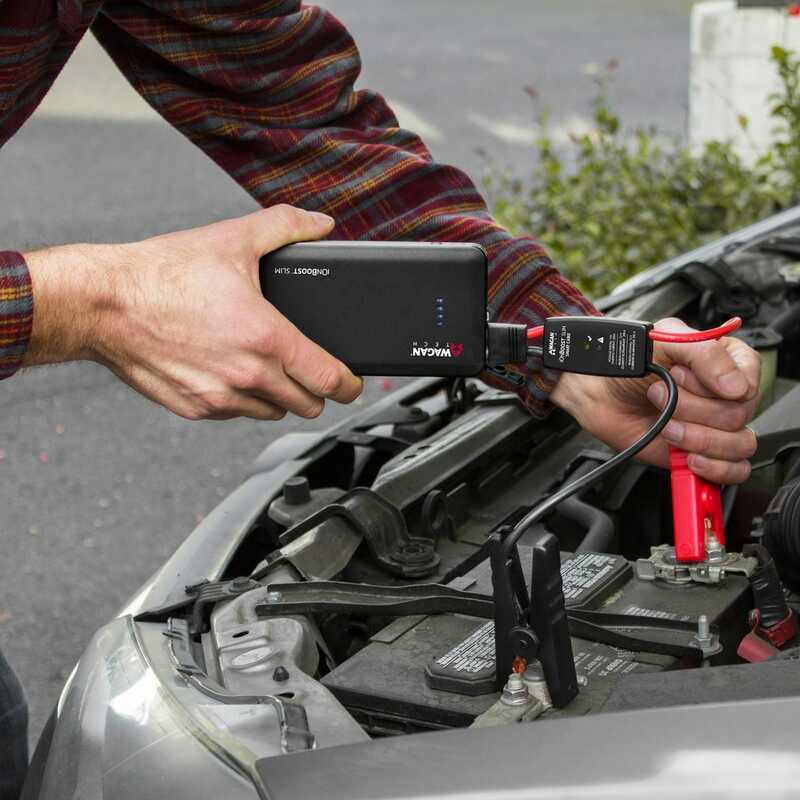 This lithium-ion V6 Power Bank Jump-Starter delivers an incredible 300 peak amps of cranking power and is still small enough to fit in your glove box. 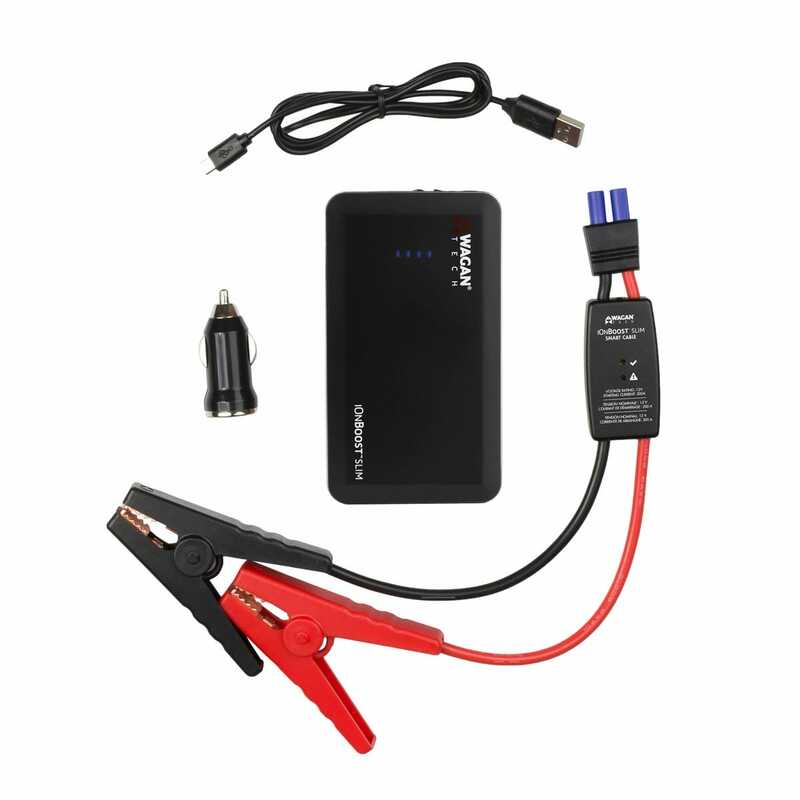 Weighing less than one pound, it easily jump-starts your car, truck, boat, or tractor up to ten times before it needs recharged! Power Bank features a USB port that’s rated at 2 amps and can be used to power and recharge your phone, tablet, and most USB devices. Three mode super bright LED flashlight can be switched between solid, strobe and SOS for use during emergencies. Easily recharges via the included Micro USB cable in a standard USB outlet or in your car with included cigarette lighter adapter. Storage bag keeps Jump-Starter organized and ready to use. Jump Starter measures about 5 1/2"w x 3"h x 1/2"d. Jumper cables are about 13" long. Unit only Weight = .435 lb. Unit & Cable Weight = .75 lb. Dimemsions - 5 1/4" x 3" x 1/2"